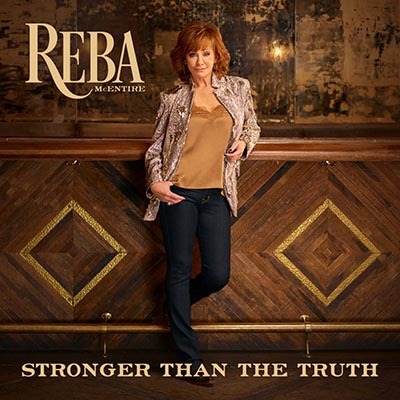 Another great Reba album but... So many sad songs! Is Reba talented for sadness? It all begans with ''Swing All Night Long With You'', a nice and happy Western swing but prepare you to a lot of sad songs! We will appreciate on this first song the uncredible virtuosity of musicians surrending Miss Reba. ''Stronger Than The Truth'' who also gave his name to the album is a nice ballad but such a sad song and first of the long list this album contains... I know that traditional Country Music was known for the sadness of his love songs. Sure we are in! Muscle come back with ''Storm In A Shot Glass'' a Country Rock - Love this powerfull rythm!!! ''Tammy Winette kind Of Pain'' bring us back into another sad love song. It won't be the last. It contains superb piano and pedal steel parts in a slow and dramatic mood. Pedal Steel cries on ''Coffee And A Coffe Can''. May be the saddest song and one of the most beautifull of the album... Do not hope to find happyness in ''Your Heart'' another great song. Love these hispanic guitar chords. ''The Clown'' words will leads you to another broken heart song, pinao chords that reminds me a old song on ''Tunnel Of Love'' Springsteen Album (1988). ''No U In Oklahoma'' is the A second Western Swing of the album, enough to wake up and shake all this sadness brought by most of the other songs. ''The Bar's Getting Lower'' bring you back to another sad story of a woman lost in her life... ''In His Mind'' is the only point of view from a man song, who lost, from a way or another, his wife ; so do not try to fing any happyness in it. ''Freedom'' has all to become a mega hit: a hypnotic rythm. Great: at last with ''You Never Gave Up On Me'', the album ends on an optimistic song!